John was born in Cleveland, Ohio and moved to Rochester, New York to attend Rochester Institute of Technology for electrical engineering. John’s early wine passion was fueled by his college roommate whose father was an Upstate New York grape grower. During his summer months, John worked for his family’s businesses in Cleveland that included general construction by day and bar/restaurant management by night. He paid his way through school by working in the hospitality industry as a Student Manager of the school’s main dining facility. After RIT, John Co-founded a consulting firm that supplied state-of-the art circuit board technology solutions to Rochester-based and Upstate New York companies like Eastman Kodak, Xerox and IBM for 16 years. An avid international traveler in his free time, John continued to nurture his passions for fine wine, exotic food and scuba diving. After moving to Florida in 2000, he began working with Northwest Mutual Financial Network and specialized in advising small businesses, like restaurants, where he met Karen Thomas. During her conversion of the old Uli’s German Restaurant to Eleven South Bistro, John’s combination of experiences in food, wine, general contracting, and hospitality management all came together. Karen and John’s passions for food, wine and customer service brought them together as partners of Eleven South Bistro. John is currently a level one Sommelier and is working to achieve level two (Advanced Sommelier). 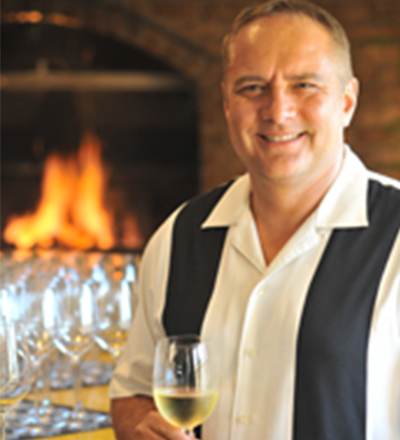 John’s wine lists and wine-paired menus have won numerous awards. Eleven South Bistro has been recognized by Wine Spectator with the Award of Excellence five years running.